Well, here’s a bit about me. I’m from Oklahoma, born and raised here. My parents and two “much older” sisters and I lived in Duncan, where I was born, until the summer I turned 6—that was 1963. That summer, my dad, who worked in the oilfields as a chemical engineer, was transferred to Seminole. My oldest sister, Annette, had managed to graduate from Duncan High School, but my middle sister, Karen, was going to have to do her last two years in Seminole. We were pretty much the typical family, like the Cleavers, only Mom didn’t vacuum in high heels and pearls like June did. She kept busy with my sister Karen’s activities, and I started first grade that year at Woodrow Wilson Elementary, just a three-block hike from my front door. I was lucky to have a stay-at-home mom, who loved to bake and cook things from scratch. Being a child of the Dustbowl and the Great Depression, it was the only way she knew to cook. A wonderful seamstress, she made a lot of our clothes, including my first prom dress! MY BEST FRIEND, JANE, AND ME IN MY SANDBOX. 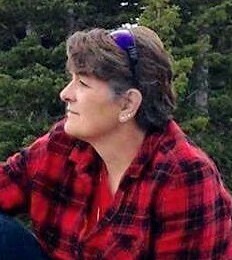 JANE PASSED AWAY LAST YEAR OF CANCER. I WILL MISS HER FOREVER. Going to the library was an every-Saturday affair. When Mom went to get her hair done, she dropped me off at the library. Goldie Barnett was the old maid librarian. Books were her life. She had a humped back and the sweetest, gentlest smile that you ever saw. She knew every book on the shelves, and loved to see young people come in and choose “no more than seven” to take home with them. 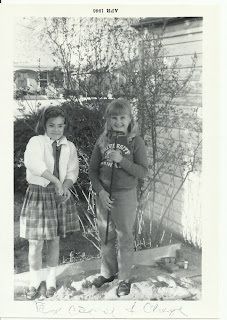 In the summers, we ran wild, playing sandlot baseball, riding bikes, climbing trees (yes, I was a bit of a tomboy!) and lying on an old packing quilt in the shade with a pitcher of cold lemonade and a favorite book for hours on end. We made frequent trips to Durant, in the southeastern corner of the state, where both my parents were from and where we still had many, many relatives on both sides. My dad’s parents had a huge garden that we would go down and help harvest. This was where I learned the fine art of shucking corn, picking beans and okra, and canning tomatoes. 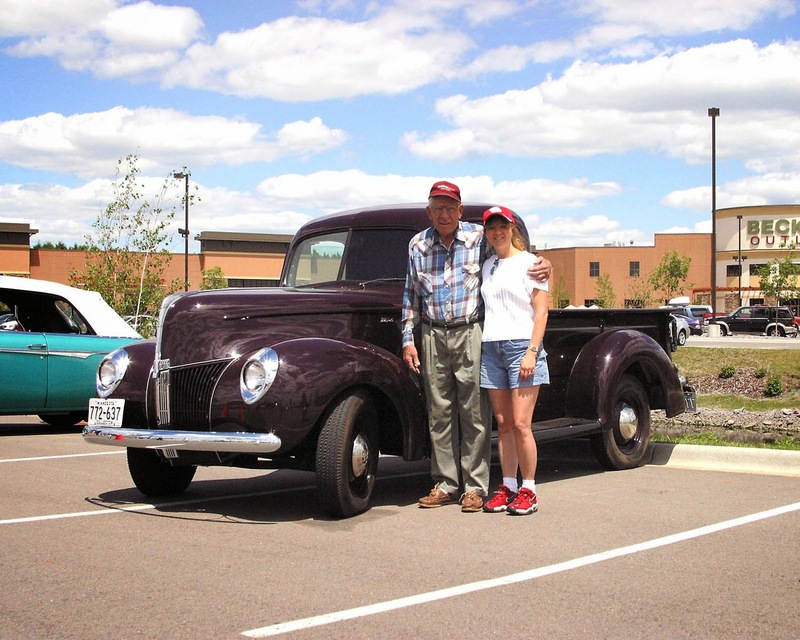 When I finished my junior year in high school, my dad was transferred again—this time, to Charleston, West Virginia. I was told time and again how lucky I was to have been able to stay in school in one place all those years. I didn’t feel so lucky, though, to have to leave everyone I knew, and all that was familiar. 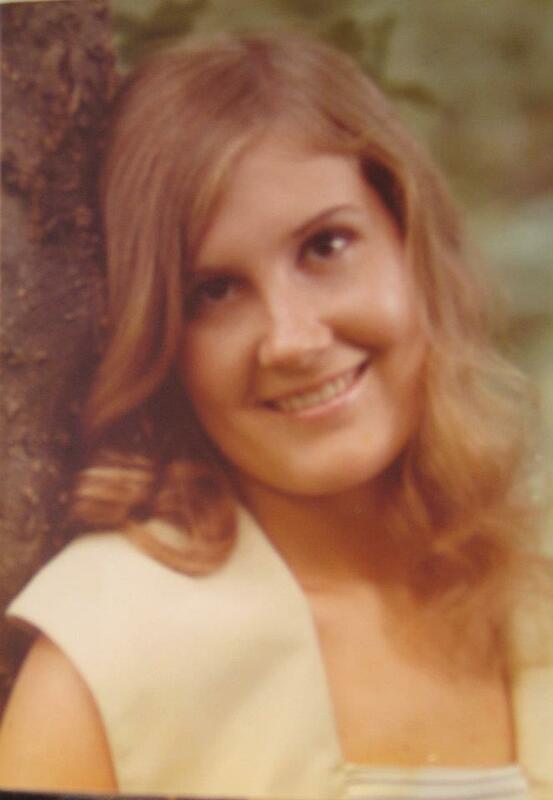 I finished high school in Winfield, a small suburb of Charleston, and started college nearby. Turned out, the move was “in the cards” because I met my husband, Gary, there at college. HERE I AM AS A JUNIOR IN HIGH SCHOOL. MY MOM MADE THIS DRESS FOR ME--SHE WAS A WONDERFUL SEAMSTRESS! Gary had been married before and had two children from his first marriage, Jennifer and Russell, who came to live with us in 1982. It was really a saving grace, because this was a very hectic time, and a time filled with upheaval, as Russell’s mom insisted on taking him back to live with her, leaving Jennifer with us. Time flew, and in 1986, our first child, Jessica, was born. I had started to write by then, but only at night when everyone else was in bed. In 1989, our son, Casey, came along, and by then Jennifer was a senior and ready to graduate. These are my "babies" now--just before their birthdays this year (both in September). We moved into Oklahoma City from one of the outlying suburbs and bought the home we still live in today. For many years, my life was full with taking the kids to their sporting events, play practices, and school activities. I worked part time during those years, and taught piano and guitar for many years, as well. Jessica, Casey and Jennifer all live nearby. Sadly, we lost Russell in a car accident when he was 18. I’ve loved to write my entire life. I remember as a child, my mother would take little notepads to church with her in her purse for me to “occupy myself” with. In elementary school, I wrote poems, short stories and even a play that my 4th grade teacher let us practice and perform in class. My writing career took off a few years ago when I sold a short story to Adams Media for their Rocking Chair Reader collection. 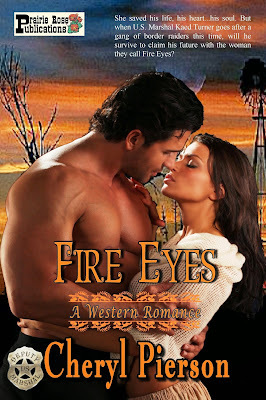 I sold several more to them, sold some newspaper articles, and then sold my first novel, FIRE EYES, a western historical, to The Wild Rose Press. I had a wonderful editor there, Helen Andrew, who really helped me find my way with the book, and will be forever grateful to her. It is now re-released through Prairie Rose Publications, along with most of my other works. Last year (2013), a good friend, Livia Reasoner, and I teamed up to open a publishing house, PRAIRIE ROSE PUBLICATIONS. In one year’s time, we’ve expanded with a total of five imprints: Prairie Rose Publications, Fire Star Press, Painted Pony Books, Prayers and Promises, and Tornado Alley Publications. We’ve enjoyed publishing many seasoned authors as well as several very talented new authors, as well—and publish a large variety of stories and formats, from anthologies to single-sell short stories, and novels, of course. I also continue to write westerns for the Western Trail Blazer’s anthologies and shared world novels about the fictional town of Wolf Creek, Kansas. These are some wonderful tales of the old west, and it’s a lot of fun to work with other authors on a common project. 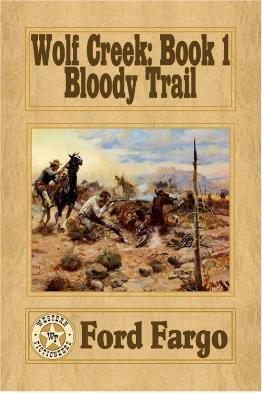 WOLF CREEK BOOK 1: BLOODY TRAIL--THIS STARTED IT ALL! This is my granddog, Embry, who has lived with us not for the last 4 years or so. 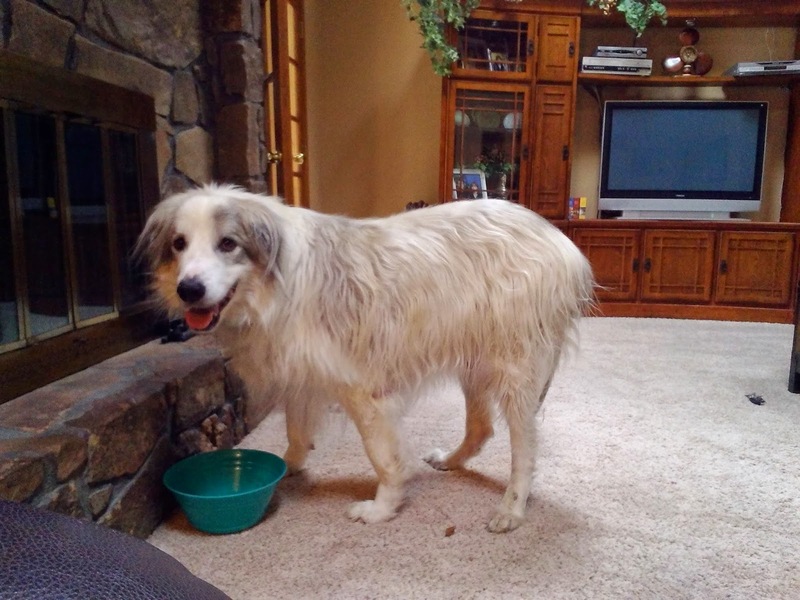 Jessica rescued him from a shelter, then had to sell her house and move into an apartment. So you can see, with his size, he would not have been happy there. He came to live with "Grandma and Grandpa" and is the king of the house here. Remember the old joke, "Where does an 800 pound gorilla sit? Anywhere he wants to..." That's true in our house, too--Embry weighs in at 200 pounds! Here's the blurb and excerpt from my latest short story, SPELLBOUND, that appears in PRP's COWBOYS, CREATURES, AND CALICO VOL. 2 which will be available for presale this week, along with Volume 1! Angie Colton and her young sister, Earlene, leave their circus life behind when their mother is killed and their father fears for their safety. Now, living in their hideaway is their only chance to keep Angie from the clutches of the evil man who may have murdered her mother. But Angie has a desperate secret she hides—she and Earlene are both witches, and are just coming into their own. Brett Diamond must save his brother, Jake, from a ruthless killer. Teller Magdon is determined to force Brett to rob a bank in order to keep Jake alive. But on his way to Ft. Smith, Brett is wounded by an unknown assailant, and taken in by a beautiful angel and her hellcat younger sister. With no time to spare, Brett must confide in Angie about his mission—and Angie must decide how she can help him, yet protect herself from the evil that has managed to find her through an ironic twist. There’s only one thing for certain: their chance encounter is a work of Fate and love. No matter what happens next, they’ve both been left Spellbound! Her kiss was tentative, sweet, and yearning. Brett let his breath fill his lungs slowly. Her hand caressed his cheek. He raised his right arm and threaded his fingers through her shimmering mass of golden curls, remembering how her head had felt, resting on his shoulder, and the thoughts he’d had as she had snuggled her body close in to his. She smiled back, letting a finger toy with his hair. “Maybe it’s a little of both…I do need to practice…as you said.” Her smile faded, and she met his eyes. “But I do wish it was in my power to bewitch you completely, Brett Diamond.” Her teeth caught in her lower lip as if to keep the rest of what she wanted to say inside. Heat rushed through Brett’s body at her softly-spoken admission. He pulled her to him, a low groan escaping his chest as her lips met his one more. “Angie,” he whispered, her name like a prayer in his heart. She pulled away reluctantly, and Brett cursed himself for scaring her with his aggression. He was taken off guard when she spoke. Uneasiness settled over Brett. He didn’t want to hear any more. He wanted to hold on to his newfound dreams of what life might be like if he settled down with Angie Colton…and he had a feeling she was about to shatter all his illusions. Brett laughed outright at that bold statement. Angie was overcom-ing her uncertainty in leaps and bounds, for sure. She gave him a long look, remaining silent. The tension in the room stretched between them until Brett felt the air would shatter around them. That’s my life in a nutshell. Not too greatly exciting, just a life mixed with some trials, tribulations, and wonderful happiness. I hope you haven’t been bored—I loved getting to read all about you all and getting to know you better. Hugs to all my SWEETHEART sisters! I’ve led an interesting life—or so it seems to me—but if I ever come upon the woman born with the silver spoon in her mouth that should have been in mine, I’m getting that spoon back! No, I don't understand the the pose either. 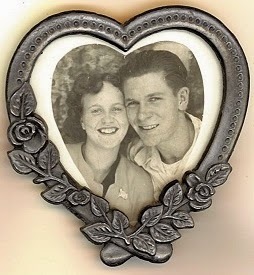 My dad was a widower with four kids when he and my mom married. Mom was 23 years younger than Dad and two years younger than her eldest stepson. Yes, we’re an odd family (in so many ways). They lived in a frame house in Dodson, Texas, which went from a thriving community to almost a ghost town once the new highway bypassed Dodson. My dad managed the cotton gin there. When I was about ten months old, my parents moved to Southern California. My four half-siblings had moved there earlier. We settled in Oildale, a suburb of Bakersfield. My dad worked first as a carpenter and then as a building contractor. The next house he built was always going to be for us, but the housing shortage always won and—after hasty discussion—he and my mom couldn’t turn down the profit of a sale. In the meantime, I had gone from healthy baby to puny toddler and child. In addition to asthma and allergies, I contracted San Joaquin Fever and it settled in my lungs. Eventually, doctors told my folks we had to leave the valley or I’d die. I was so ill that I don’t remember the move. I do remember making up adventure stories (starring me, of course) while having to rest and whenever I was sick. My dad taught me to read early as he placed a high value on education. Mostly I had comic books with only a few books such as HEIDI, A CHILD’S GARDEN OF VERSES by Robert Louis Stevenson, and the Little Golden book of A CHILD’S LITTLE BOOK OF PRAYERS. To improve my health, we moved to West Texas where my dad again managed a cotton gin. After three years in small communities, Dad decided to buy cotton and we finally were able to have our own home in Lubbock. By this time, my younger brother had been born and was four month old. Poor Dad. Imagine having babies spread over a forty-year span. No, thanks! Poor Mom. She was quite surprised to find herself expecting a second child ten years after the first. In the meantime, I had discovered there was more to life than Roy Rogers (sorry, Roy) and had gone on to read any book I could get my hands on, mostly Nancy Drew titles. I waffled between wanting to be a girl detective a la Nancy Drew or a famous writer like Carolyn Keene. Well, I never said I was the sharpest knife in the drawer—I had no idea there was no Carolyn Keene. In Lubbock, I sort of enjoyed school, especially English and reading and history classes. Fie on math and PE! With my dad’s encouragement, I signed up for journalism and eventually became editor of the school paper and won some awards. Turns out the reason Dad wanted to live in Lubbock was so that my brother and I could live at home and go to Texas Tech. I started but only have my associate degree, which was a big disappointment to my dad. Blah, blah, blah, fast forward a few years. I was lucky enough to marry my Hero, the older brother of a classmate. We lived in the Dallas area and each of our daughters was born there. We moved a lot, sometimes for stupid reasons such as we wanted a larger yard or a smaller yard or closer to a park. Another time, Hero was wooed by a company in Orlando, Florida, but we concluded after two-and-a-half years there that we’re Texans at heart and returned. Although I’d been a stay-at-home mom until we moved to Florida, while there I was a feature columnist and reporter for a small newspaper. I enjoyed the job, but didn’t make much money—but I met tons of interesting people. The good thing was that the owner-editor who recruited me allowed me to work around my asthmatic kids’ sick days and school hours. We moved back to Texas and I went back to being stay-at-home mom. That is, until our eldest daughter chose to go to Texas Christian University. Tuition sticker shock! I went to work for an emeritus professor who was managing editor of a psychology journal. By this time we’d purchased an orchard in Parker County and planned to build there. About a year after we’d moved, I went to work for the local tax assessor collector as bookkeeper. Yes, I remember I said I didn’t like math, but I meant advanced math. There’s something soothing in the fact that two plus two is always four. For several years I’d been writing a romance. I finished that one and started another. By this time I’d heard about Romance Writers of America and joined the national organization and a local chapter, then a second local chapter. Wow, what a shock to hear interesting programs on character arc, plotting, character development, point of view, and more. There are rules? Who knew? Through friends I met in the local RWA chapter, I made my first sale to Kensington in 1998. I was not that happy with the severely cut version of BE MY GUEST, but when rights reverted to me, I revised the book to include the suspense portion that had been chopped out and removed a couple of trite phrases that had been inserted. I published two more books and a novella with that publisher. 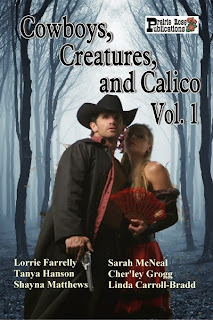 In a few weeks, the boxed set WILD WESTERN WOMEN will release and includes novellas by Callie Hutton, Kirsten Osbourne, Sylvia McDaniel, Merry Farmer, and me as well as bonus short stories by a couple of us. A year ago, Hero and I downsized to a home in Hurst, Texas near my best friends. We love living here and feel fortunate that our daughters are not far away in Fort Worth and Greenville. Our home is shared by our rescue pets of a Shih Tzu dog Webster, large tuxedo cat Sebastian, and Max, a Manx-Siamese mix cat. 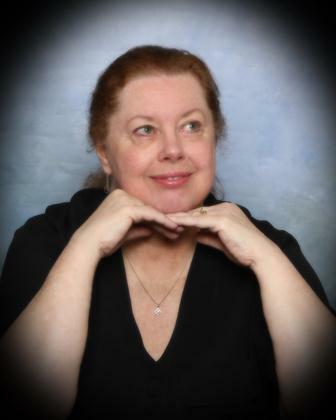 Although my mom didn’t like to read until she was retired and my aunt gave her a copy of THE THORN BIRDS, she became an avid reader and my devoted fan, My parents have both passed on, but I know they’d be happy I’ve continued writing. 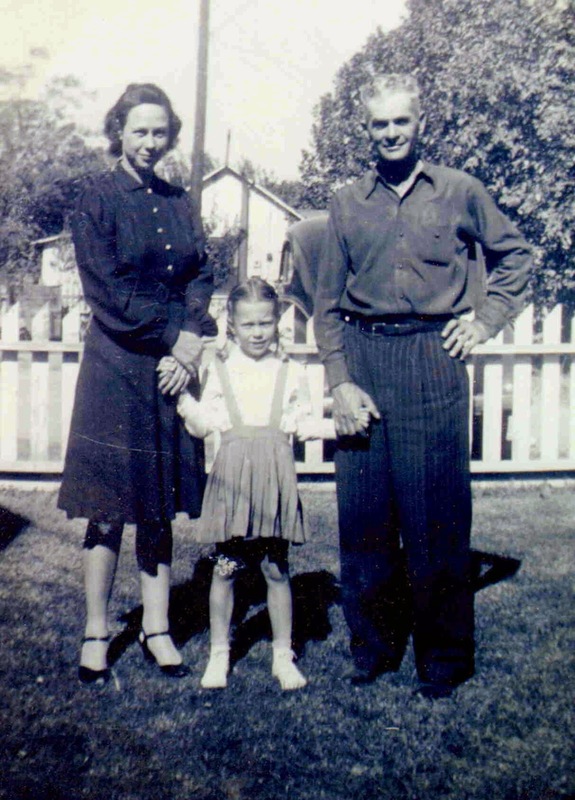 My parents, (in this precious little photo), lived in a small town called Embarrass, Minnesota when I was born. 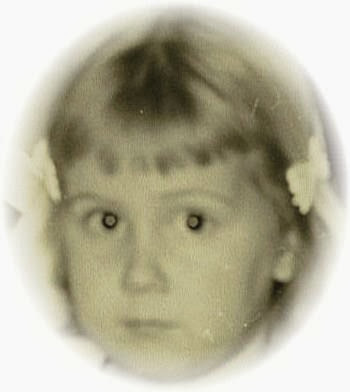 I was the seventh of eight children and the second of two daughters. Yes, having six brothers was an eventful life. We moved to Kansas when I was ten and that’s where I met and married my hubby. That was also where I fell in love with cowboys of all kinds—not just Little Joe Cartwright, who by the way was my first boyfriend, he just never knew it. My husband and I migrated back to Minnesota after my parents had. We came to visit them for Christmas and never left. My husband fell in love with all the hunting and fishing. Our three boys were raised in Minnesota and two of them are married and now raising their families here in Minnesota. 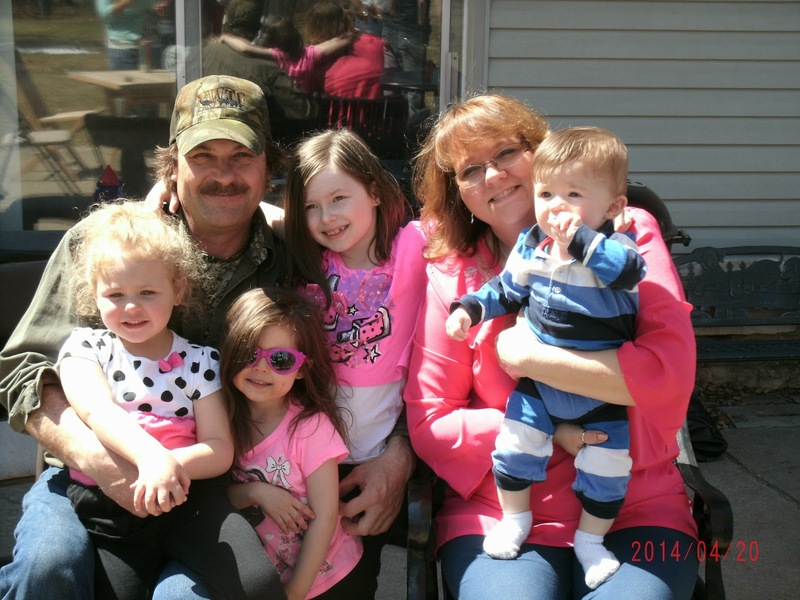 This is my husband and our four grandchildren. With a degree in early childhood education, I taught preschool for many years before becoming the director of a child abuse and neglect prevention program. It was during that time that I started writing. My husband likes to take credit for that. We were up north at the ‘hunting shack’. No, I’m not a hunter, although I do own several guns and have a conceal and carry permit, but that another story. I went to the hunting shack back then to make sure the boys ate more than beef jerky and potato chips for a week. My husband wanted me to go sit in the deer stand with him. I told him that I couldn’t because I had a good book I wanted to finish. Somewhat sarcastically, he said I should write a book because I’d read so many of them—which was true, I’ve always been, and still am, an avid reader. I told him that I would write one—and started it that very weekend. It took five years to get it published, and it is now off the market. Thank goodness! I’ve learned so much since then! During those five years, I switched to a job where I worked part-time in order to help take care of my father, by then he was suffering from Alzheimer’s Disease. He was a wonderful man and a great story teller. While taking care of him he shared many memories with me that I used in writing “A Wife for Big John” set in a lumber camp in the late 1800’s. This is me and my dad. He died a week before I ‘sold’ that book. 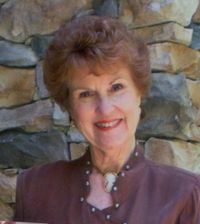 I continued to write and sold several more books to the Wild Rose Press before selling my first one to Harlequin in 2009. In 2011 we discovered my mother had cancer and I left my job to be able to accompany her for chemo treatments. 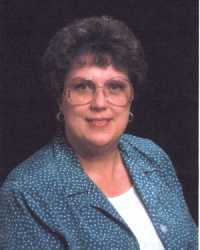 She is who I got my love of reading from and was my first beta reader. She was also my biggest fan and my toughest critic. I loved brainstorming stories with her. Six short months later she passed away. Here’s my mom and two of my grandchildren. 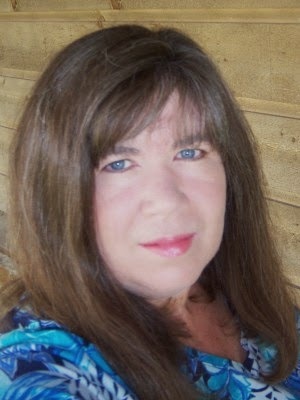 I now work part-time for a senior care company and dedicate my other days to writing. 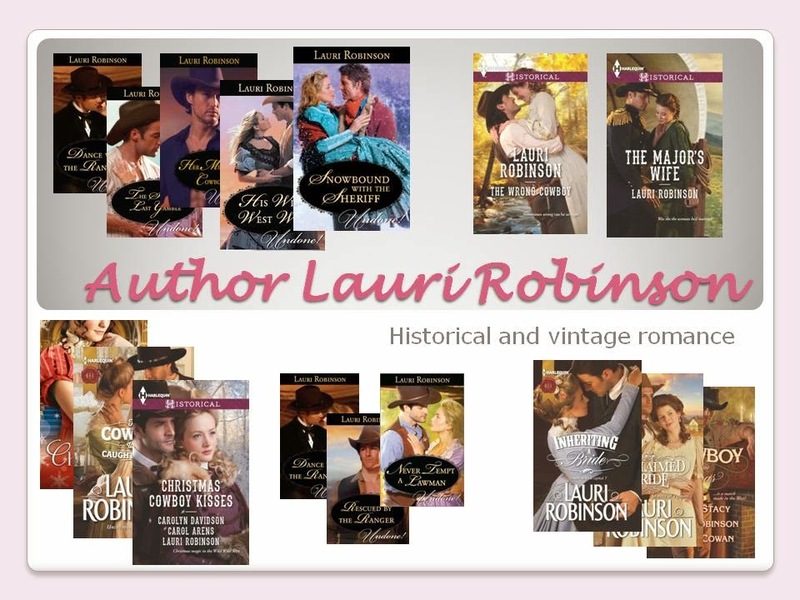 My favorite genre to write and read is western historicals, but last year when my Harlequin editor asked what other era I’d like to write about, I quickly answered the roaring twenties. I’m excited to say that four books based in that era will be released in 2015. This year when she asked if I had another era I’d like to try writing about, I explained how my eight times great grandmother had been imprisoned as a witch during the Salem Witch Trials. She told me to write up a proposal and send it in. 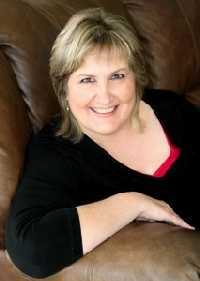 It was accepted and that is the book—a romance novel set during that time—I’m currently working on. with his dog. We love having them live here (he works construction and is out of town a lot) but I know a twenty-something son doesn’t want to live with his parents forever. I tell him he can move out at any time, but the dog stays. This is Bear on his birthday this July. 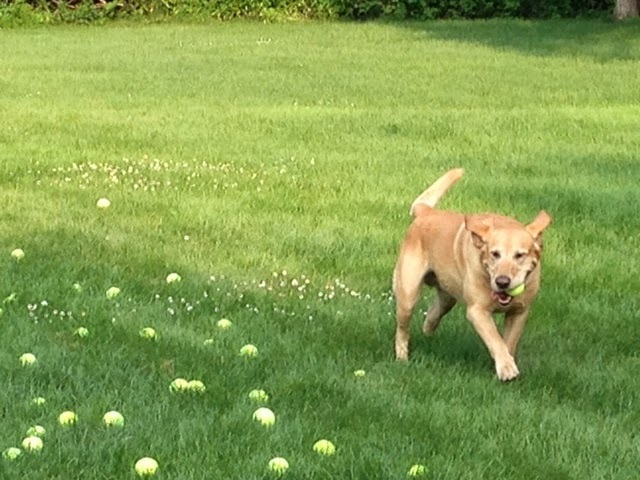 We gave him one hundred tennis balls at once. He was in his glory! There you have it. Lauri Robinson in a nutshell. The only two things I may have forgotten to mention are that I’m a huge Elvis fan. Our guest bedroom is known as Heartbreak Hotel. And I love watching Nascar—either live or on T.V. My soon to be released book, The Wrong Cowboy, has been given four stars and the K.I.S.S. (Knight In Shining Silver) hero award from R.T. Reviews. This month, we’re supposed to talk about ourselves. This is probably my least favorite thing to do, but I’ll give it a try. At least it’s in a blog post and not in front of a live audience. I’ve been painfully shy all my life, and after my first child was born, along with post partum depression, was also diagnosed with Social Anxiety Disorder, and years later with Panic Attacks. I hated what the medication the doctors prescribed did to me, so I don’t take them. I just live with my fear of social situations as best as I can. My husband tries to be supportive, but as an extremely outgoing person, it’s often very difficult for him to understand why I’d rather stay home than mingle with family and friends. 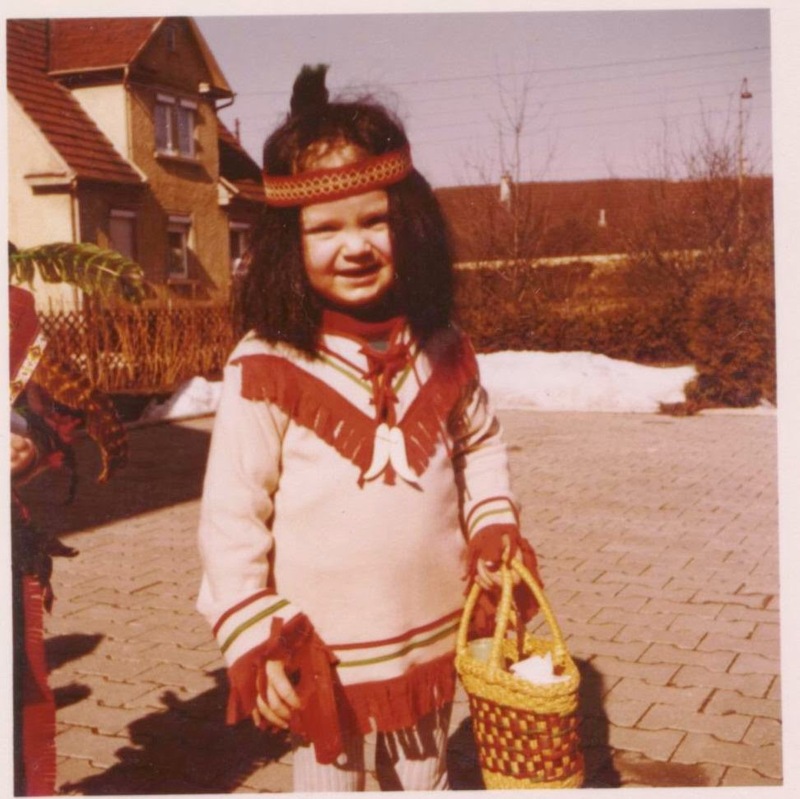 I was born and raised in Germany for the first twelve years of my life. 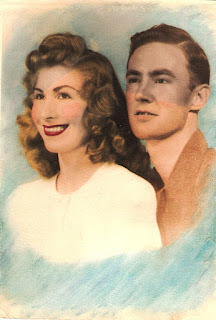 My mother is German and my dad was Canadian, working for an American company in Germany. I knew a little English when my dad decided to relocate to the U.S., but boy, was it a cultural shock to me! Growing up in a small farming town in Germany, moving to the big city just outside of Los Angeles, California, was quite the move. My mother didn’t adjust very well to the move, and spent many years in bouts of depression. Like me, my dad was an introvert, so I didn’t get much help from him, either, as I tried to navigate the new and completely different school system from what I was accustomed to. I met my future husband when I was 15 years old, working at the “ground level” – literally – at a large veterinary clinic, cleaning kennels. I always knew I wanted to be a veterinarian. I worked my way up from kennel attendant to veterinary assistant to surgical assistant while in high school and throughout college, sometimes working at three different clinics while going to school full time. I think that’s why I finally burned out on vet school during my senior year at college. It’s also when I got married, and veterinary school seemed less important. My husband and I bought a house, and I was finally able to make another life-long dream a reality; keep horses on my own property. All my life, I loved horses, and begged my parents for a horse of my own. Neither one of them would budge. They wouldn’t even let me take riding lessons. With the money I earned from after-school jobs in high school, I bought my first horse and paid for his upkeep at the local boarding stable. 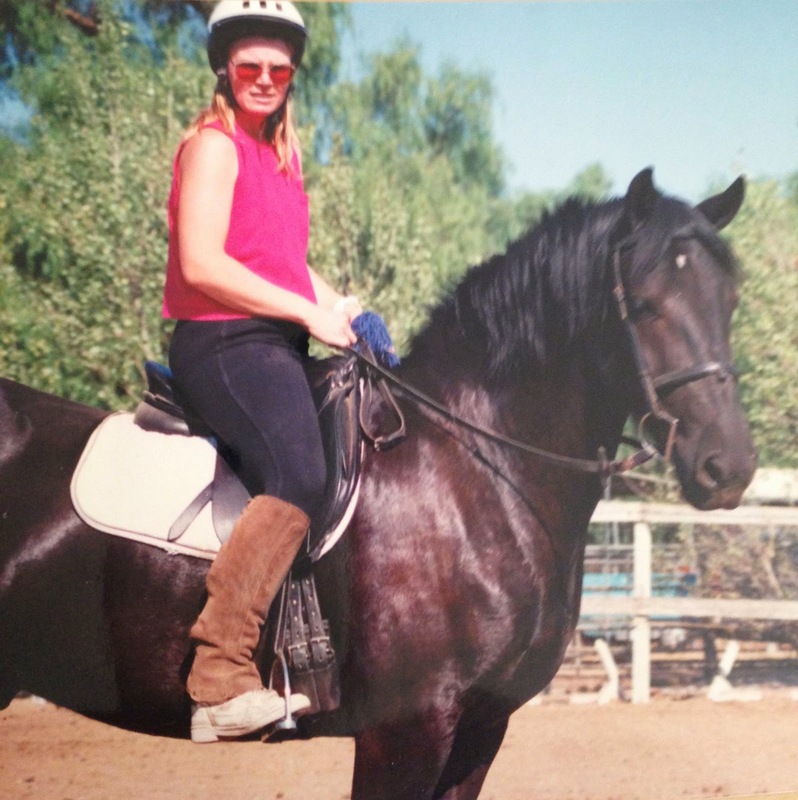 A few years later, I bought a second horse, and started showing. I fell in love with dressage, and that’s the discipline I pursued with my second, and then with my third horse. When my sons were born, a year apart from each other, I stopped working to become a stay-at-home mom. In the back of my mind, I know I kept wondering when my "vacation" would be over, but I stayed home to raise my boys until they were ten. During those years, to relieve some of my boredom (not that being at home and raising little kids is boring, but I needed something else to do besides watching the children), I went back to school, and I also taught myself to draw and paint. 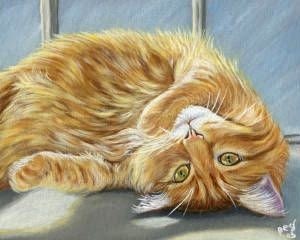 This led to a part-time, at-home business of drawing and painting animal portraits. Three months after my father suffered a fatal heart attack while he and my mother came for their weekly visit at my house, I had my first panic attack. I don’t know to this day whether it was brought about by my dad’s death and that I couldn’t save him, or the fact that I had suffered an inner-ear infection that, before it was diagnosed, made me think I was dying. Since then, I've struggled with panic attacks along with the ongoing depression and social anxiety. After my dad’s passing, my husband and I made the decision to move in with my mom to help her out. She didn’t want to move to our house, and she couldn’t live on her own due to advancing rheumatoid arthritis. So, we packed up, moved the horses and kids, and into the house in which I spent my teenage years. It was during that time that I also decided I wanted to return to work. Boarding horses rather than having them in the backyard was going to be more expensive. I met my future boss at the boarding stable where I moved my horses, and have been working the graveyard shift as a laboratory technologist at a leading veterinary reference lab ever since. So, what led me to become a writer? 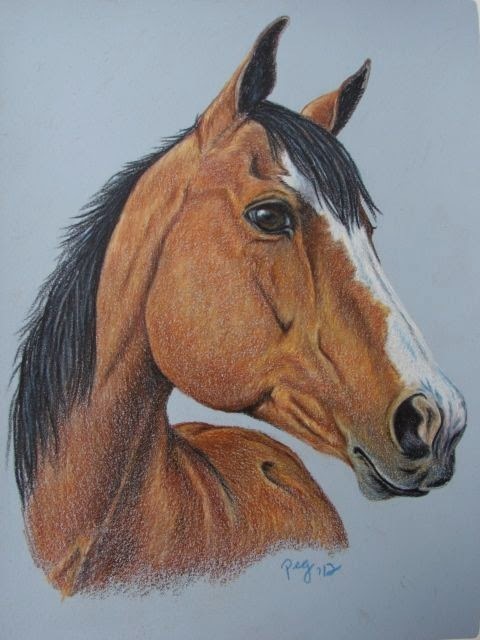 I always enjoyed writing, and even wrote a “novel” when I was 14 years old, about a racehorse that came from outer space, and I always enjoyed reading romance novels. It was also on the drive home (covering over 1000 miles) that my mind had time to wander, and the story that would become my first novel, Yellowstone Heart Song, was born in my head. I don’t know where the story came from. It just formed in my mind, and it wouldn’t leave me alone for over a year. After another trip to Yellowstone with my husband and kids, the story became even more vivid, and the day after we got home, I started writing. I spent a year or more writing the book, not telling anyone, and I had no plans to publish it. I entered a few RWA chapter writing contests, and finaled in one, after which I found a critique partner through an online search. She helped me with beginner writer mistakes (head-hopping, anyone?) and with so much more, and finally urged me to publish. I decided to go the independent route because I was afraid that a publisher (if my story was even accepted anywhere) would make me change it so much that it would no longer by my story. My lone story, which I titled Yellowstone Heart Song after I couldn’t come up with a title for over a year, turned into the Yellowstone Romance Series - 5 full-length novels and two novellas to date, consistent best-sellers in the time travel and western historical romance genre. I did everything wrong when I published Yellowstone Heart Song, but I’ve learned a lot in the last three years. 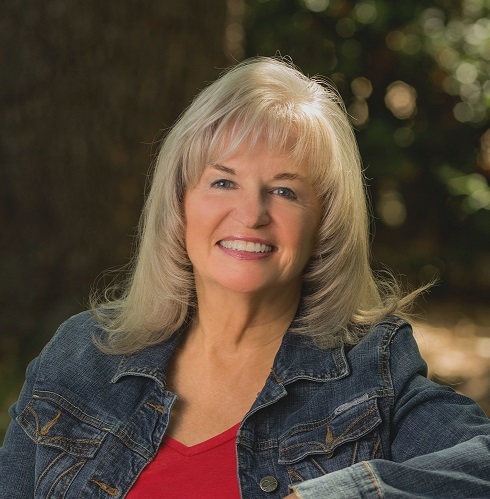 I now have a wonderful editor and beta reader support team, and I’ve since written another trilogy, the Teton Romance Trilogy, and I am currently finalizing the third book in my Second Chances Time Travel Romance Series. I continue to work nights while pursuing my writing career during the day. Jake Owens is tired of life on his parents' Montana ranch, catering to city folk who want a taste of old-fashioned country living. He enjoys life in the fast lane, with fast cars and even faster women. When he falls in with the wrong crowd and is accused of murder, a stranger's bizarre offer at a second chance might be his only hope to clear his name. Rachel Parker is highly devoted to her family. 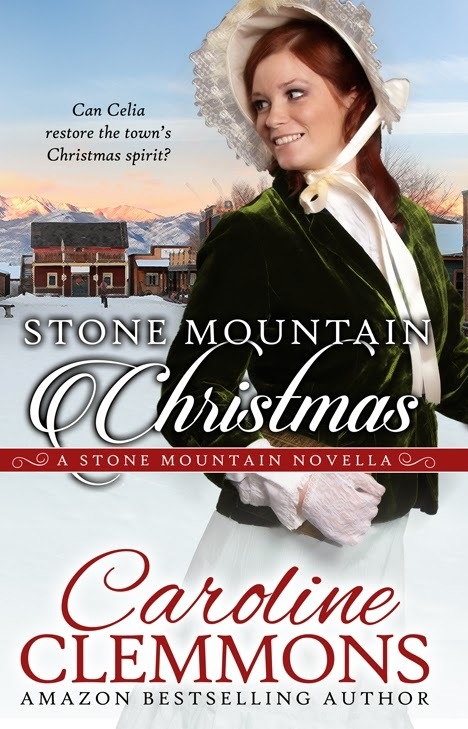 A tragedy prompts a daring move to the Oregon Territory for a fresh start in a new land. 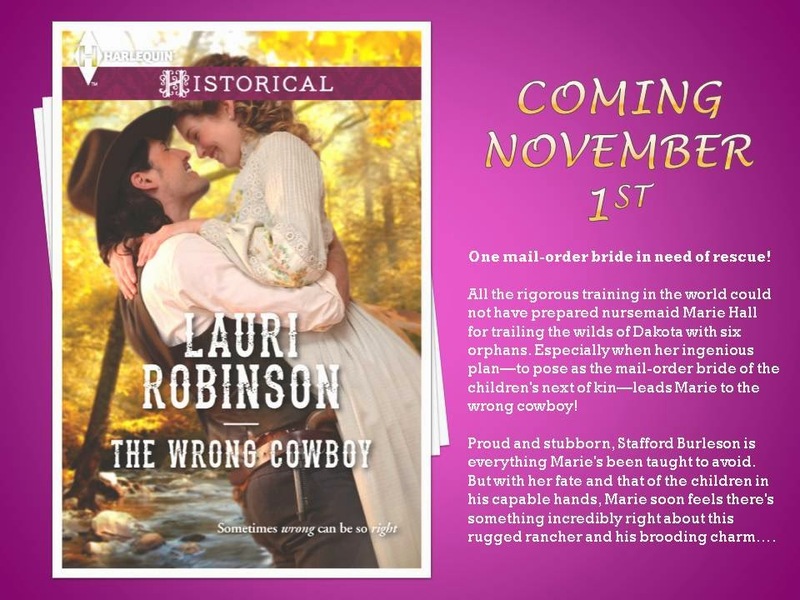 After meeting the wagon train's scout, the meaning of a fresh start may be more than she ever imagined. Jake can't believe he's been sent back in time to act as scout for a wagon train headed for Oregon, and given the added burden of keeping one emigrant woman safe during the journey. He and Rachel are confused by their attraction to each other. Jake's ill-mannered, unconventional ways are overshadowed only by his notorious reputation. Rachel's traditional values and quiet, responsible character are the complete opposite of what attracts Jake to a woman. When their forbidden attraction turns to love, what will happen at the end of the trail? Jake swiped the back of his hand across his forehead, but droplets of sweat still managed to sting his eyes. He blinked to dispel the burn, then dumped the last shovel full of dirt onto the mound of freshly dug earth. He stuck the simple wooden cross he’d fashioned from two sticks he’d tied together with twine into the ground, and peered over his shoulder. Rachel stood quietly behind him, her hands clasped tightly in front of her, her solemn eyes on the grave. She’d barely spoken a word since yesterday afternoon, after Thomas had breathed his last breath. Jake’s heart went out to her. From the moment he’d seen Thomas sick that morning, he’d known that it didn’t look good for Rachel’s brother. He’d already vomited so much by the time Rachel had found him, his body had been dehydrated beyond recovery without intravenous fluids. The little bit of water he’d managed to keep down hadn’t been enough. 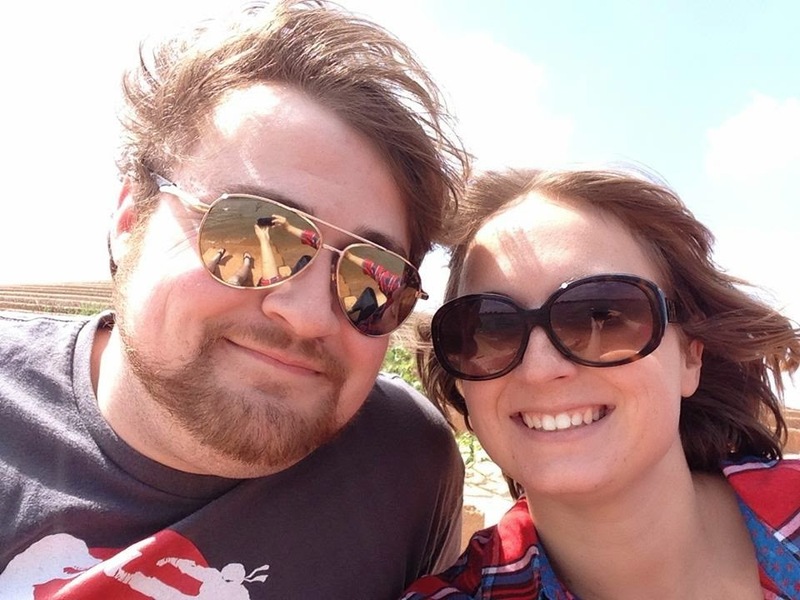 Rachel’s stoic behavior in the wake of her brother’s death unnerved him. She hadn’t cried. She’d walked away from the dead body, and gone about fixing a supper of rice, beans, biscuits, and leftover buffalo meat. When she’d barely touched her food, Jake had set his own plate aside, and tried to pull her into his arms. She’d pushed him away, and disappeared in the wagon for the rest of the night. Jake decided to leave her alone with her grief. It had to be quite a shock to her. She was suddenly all alone on a trek across the country to a foreign land. What must be going through her mind? She had three little kids to worry about now, and no man to take care of her. This journey might test her like nothing before. Reverend Johnson’s words haunted him now. The old man hadn’t been kidding. Jake wondered again how much the reverend knew. Had he foreseen Thomas’ death? That’s why the reverend gave her to you to protect. If he’d known all that, he would have also known that Jake would fall in love with her. How would Rachel react if he told her he was from the future? He couldn’t possibly say anything to her yet. Shortly before Thomas’ death, he’d almost asked her to come with him to Montana. She needed time to mourn her brother before he even thought to bring it up. Jake gripped the shovel, and turned to face Rachel. He touched his hand to her shoulder and stepped closer. Her head snapped up; her eyes wide and shimmering. A slight breeze lifted strands of her hair that had come loose of its braid, and blew into her face. Jake wiped at her cheek and tucked the tendrils behind her ear. “Would you like to say something?” he asked gently. Rachel’s unfocused gaze darted from him to the grave, and back again. Her body shivered slightly. Her eyes suddenly filled with the tears she’d suppressed since yesterday. Jake expelled his breath, and pulled her into his arms. For a second, he thought she might object, but then her body went limp. She wrapped her arms around his middle, and buried her face in his shirt. Sobbing quietly, her body shook and quivered, and Jake held her in a tight embrace. He stroked the back of her head, and ran his hand up and down her back. “Let it out, sweetheart. It’s okay to cry,” he whispered. Jake lifted her head from his chest. Her eyes glistened, and tears streamed down her face. “You still have the boys,” he offered, knowing it was probably not what she needed to hear. And you have me, he desperately wanted to add. This was not the time to bring it up. He still hadn’t worked it out in his own mind what to do about her once he reached the end of the trail in Oregon. Jake held her face between his hands, and swiped at her tears with his thumbs. “We’ll figure it out.” He eased her head against his chest, and simply held her. Consoling a grief-stricken woman was unfamiliar territory. It would be so easy to tell her right now that he wanted her to come to Montana with him. But that meant he also had to tell her he was from the future. He couldn’t possibly drop such a bomb on her. Not yet, anyway. He could simply tell her he’d stay with her in Oregon, but he didn’t want to lie to her. One way or another, he’d figure out a way to keep her, whether in this time or in the twenty-first century. Would she even want to stay with him? She obviously had feelings for him, but did she love him? Thomas had told him she had no experience with men, and thought she was simply infatuated with him. She herself had told him she’d surrendered to him, that she was tired of running from his pursuit of her. Jake’s jaw clenched, and he cursed silently. He didn’t want her surrender. He wanted her love. The innocent ways she’d kissed him told him she was unsure of herself. He had to tread lightly, and go slow. The late afternoon breeze whooshed gently around them, cooling Jake’s face. Crickets and other evening bugs grew louder amongst the sage and grasses. Coyotes yipped in the far-off distance, and one of the mules brayed along the river. Jake’s mare pinned her ears at the annoying beast, and lumbered away towards the banks of the Platte, sticking her nose in the water for a drink. She swooshed her tail in an agitated manner, evening bugs swarming around her rump. How long he stood there in the open, flat expanse of the Nebraska prairie, holding Rachel in his arms, Jake had no idea. The evening sun slowly sank in the western horizon, painting the sky different shades of orange, red, and purple. She’d stopped sobbing some time ago, and her body had stilled as if she’d fallen asleep. He eased his upper body away from her, and she moaned softly. “Don’t let go of me.” Her soft request was almost inaudible. Jake’s heart ignited in his chest. I’ll never let you go.